The nation from Andorra, Antigua and Barbuda, Argentina, Australia, Austria, Bahamas, Barbados, Belgium, Belize, Bolivia, Botswana, Brazil, Brunei, Bulgaria, Canada, Chile, Costa Rica, Croatia, Cyprus, Czech Republic, Denmark, Dominica, El Salvador, Estonia, Fiji, Finland, France, Germany, Greece, Grenada, Guatemala, Guyana, Holy See, Honduras, Hong Kong, Hungary, Iceland, Ireland, Israel, Italy, Japan, Kiribati, Latvia, Lesotho, Liechtenstein, Lithuania, Luxembourg, Macau, Malawi, Malaysia, Maldives, Malta, Mexico, Monaco, Nauru, Netherlands, New Zealand, Nicaragua, Norway, Panama, Paraguay, Poland, Portugal, Romania, Saint Kitts and Nevis, Saint Lucia, Saint Vincent and the Grenadines, Samoa, San Marino, Seychelles, Singapore, Slovakia, Slovenia, Solomon Islands, South Africa, South Korea, Spain, Swaziland, Sweden, Switzerland, Taiwan, Tonga, Trinidad and Tobago, Tuvalu, UK, Uruguay, USA, Vanuatu, Vatican and Venezuela don’t need visa up to 3 months. For further information please contact us. If you wish to visit Ireland for a period of less than 3 months, for example, on holidays, to pursue a short course of studies or for business meetings, then you can apply for a short stay ‘C’ visa for either a single entry or multiple entries. There are two types, single and multiple visa. For further information please contact us. If you would like to have a visa validity more than 3 months to 1 year, you should apply for visa. You can get with for study, treatment, education, work, income-generating measures, family reunion and volunteering. For further information, please contact us. Arrangements on holiday in Ireland with other governments allow young people from both countries to finance a longer holiday on a temporary basis. If you are not a citizen of Ireland and you want to work in your holiday in Ireland, you need to apply for a work permit (WHA) in the Irish Embassy next or organization. For further information please contact us. Like most other countries, Ireland requires candidates from many non-EU countries to have a visa to come and study in Ireland. If you are a citizen of non-EU, then you do need a visa to study in Ireland. However, if you are a citizen of a country in EU, you don’t need for a visa before you travel to Ireland. You must be registered as a full time student at a university, vocational school, or other studies meeting university admission requirements. The program for applicants Immigrants for companies investing money of 500 000 € to 1 million euros, which will give them a five-year residence permit. Start-up entrepreneurs program invest at least 50,000 euros in Ireland. 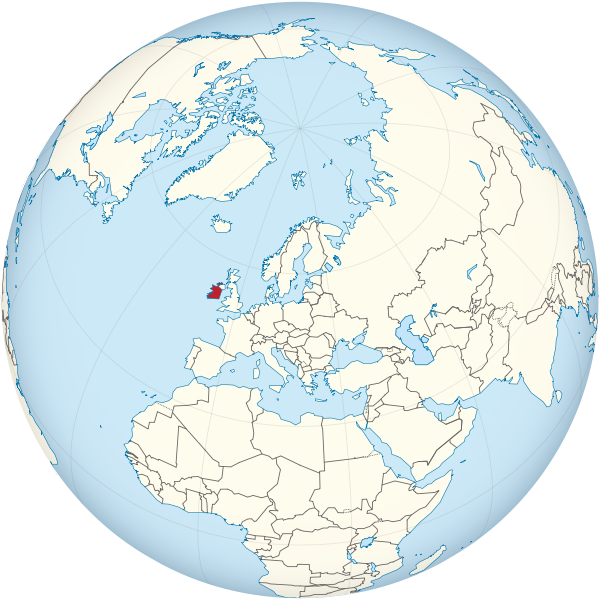 Ireland is an island in the North Atlantic. It is separated from Great Britain to its east by the North Channel, the Irish Sea, and St George’s Channel. If you would like to travel this country, it’s better to search in internet and read some logbook that are written by another passengers and also see which travel agency they had received full services. Before you flight, you should find out which places are your favorite to visit. historical places, natural places, museums, zoo, temples, … .